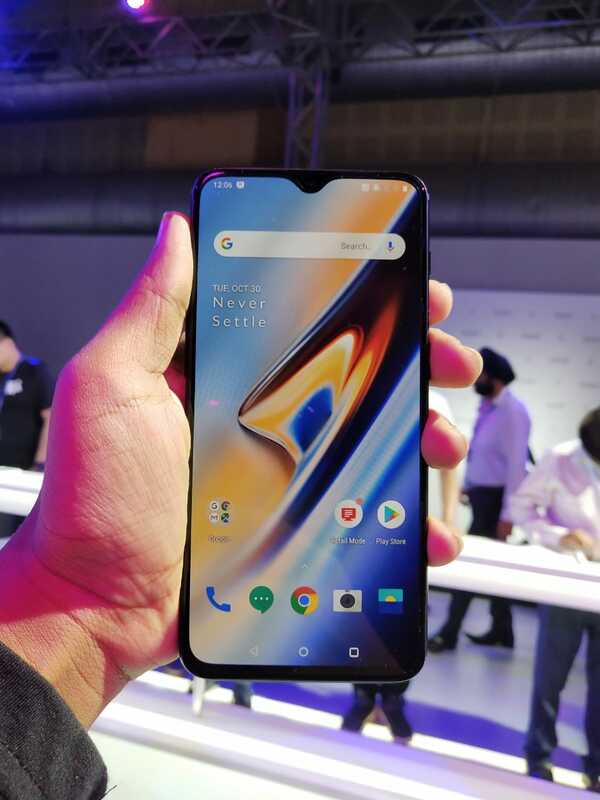 Home BLOGS Oneplus 6T Launched in India Starting at 37,999. Featuring Screen Unlock, the industry’s fastest in-display fingerprint technology, the OnePlus 6T provides users with a fast, natural and intuitive way to unlock your device, while benefiting from a large display with minimal bezels. Taking just 0.34 seconds to unlock and supported by sophisticated self-learning algorithms, Screen Unlock sets a new standard for smartphones. The OnePlus 6T has a rich and immersive display, with a 6.41-inch Optic AMOLED display at a 19.5:9 aspect ratio for great viewing angles whether you’re playing Fortnite or watching Netflix. As durable as it is beautiful, the front of the OnePlus 6T is protected by the latest Corning Gorilla Glass 6, seamlessly flowing into the glass design. Over 40 different manufacturing steps go into crafting the 3D glass back of the OnePlus 6T, which is made from multiple layers of glass, it includes anti-glare coating and a texturized multilayer film. Fast and Smooth is not just about raw processing power, but about the optimization of hardware and software. The latest, most powerful platform, Qualcomm Snapdragon 845, with up to 8GB of RAM, creates an experience that continues to set the standard for performance. Smart Boost, a new feature of the OnePlus 6T, improves app cold start speeds by up to 20 percent through storing data from frequently used apps in the phone’s RAM. And when you need more power, OnePlus Fast Charge can quickly charge the OnePlus 6T’s 3,700 mAh battery, which provides a 20 percent increase in battery life compared to OnePlus 6, for a full day of power in half an hour. The OnePlus 6T enhances the acclaimed camera experience of the OnePlus 6 with software optimizations and added features. The new Nightscape is perfect for capturing low-light urban environments with improved clarity, less noise, more accurate color reproduction and better dynamic range. Working with critically acclaimed photographer and artist Kevin Abosch, the OnePlus 6T’s rear camera features Studio Lighting, a feature that has been fine-tuned to recognize faces and adjust the lighting accordingly to simulate professional lighting. Industry-leading HDR and portrait mode images are also improved, thanks to the clarity, dynamic range, and edge detection provided by OxygenOS. The OnePlus 6T rear cameras can capture 4K video footage at 60 frames per second, and Super Slow Motion at 1080p and 240fps / 720p and 480fps. Google Lens is also included as standard in the user interface. The camera hardware sees a combination of f/1.7 16 megapixel and f/1.7 20 megapixel rear-facing cameras, featuring Optical Image Stabilization and Electronic Image Stabilization, while the front-facing camera is f/2.0 16 megapixel, with Electronic Image Stabilization. Along with the launch of the OnePlus 6T, the company also unveiled a refreshed version of its classic backpack and introduced the OnePlus Explorer Backpack. The Explorer Backpack can be purchased only by invite and will be available in two colours, Morandi Green and Slate Black, retailing at INR 4,990. The company also unveiled its new Type-C Bullets earphones in Matte Black. The new Type C Bullets will be based on delivering a superior soundscape and will be a step up from Bullets V2, once again effectively balancing design with utility and versatility to enhance the overall audio experience. The Type C Bullets will echo the metal design of the OnePlus Bullets V2. The new Type-C Bullets will retail at INR 1,490. The OnePlus 6T will be available in Midnight Black and Mirror Black in three variants – 6/128 GB, 8/128 GB and 8/256 GB and will retail at INR 37,999 for 6/128 GB, INR 41,999 for 8/128 GB and INR 45,999 for the 8/256 GB variant.